Marlborough Mound – A Sibling for Silbury Hill? The Wiltshire landscape around Avebury and Silbury Hill is the heart of prehistoric Britain, and has World Heritage designation. 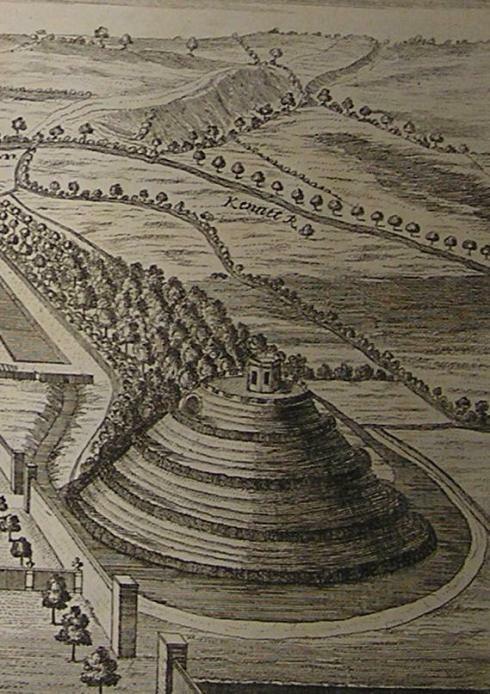 Now another monument can be added to its archaeological treasures: the Marlborough Mound. The Mound, in the grounds of Marlborough College, was already recognised as a feature of considerable historical significance. It was the motte on which the keep of Marlborough Castle was built fifty years after the Norman Conquest and it subsequently became the centrepiece of a major seventeenth century garden. 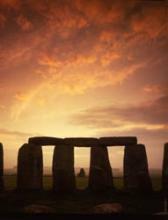 The latest research has extended its history back by three millennia. Recent coring of the mound at Marlborough College produced four samples of charcoal, allowing radiocarbon dating for the first time. The samples, which came from different levels in the mound, were taken from two bore holes through the height of the 19m monument, showing that it was built in the years around 2400 BC. This is the first firm evidence proving the theory that the castle motte is largely a re-used prehistoric structure of the highest national standing. After the prehistoric mound was re-used as a castle motte – the only known example of its kind – it became an important royal castle for the Norman and Plantagenet kings. It was occasionally the scene of major political events, such as the general oath of allegiance to King John in 1209, as well as being a favourite royal hunting lodge. In the fourteenth century the castle passed to the queens of England, and gradually became neglected. In the seventeenth century it came into the possession of the Seymour family, and its next avatar was as a feature in a historically significant early romantic garden: a spiral ramp was cut in its side, with a hawthorn hedge enclosing the path which wound to the summit, where there was a water feature.